Leading malayalam general entertainment channel Asianet started showing promo of asianet television awards 2017. Keralatv.in updating about asianet tv awards from 2011, you can check old posts by visiting here. TV Awards will distribute to Artists and technicians who involved in Asianet serials and shows. Vezhambal, Neermathalam, Vanambadi, Karutha Muthu, Parasparam, Chandanamazha, Bhaarya, Ningalkkum Aakam Kodeeswaran 4, Best of Comedy Stars: Season 2 are the present shows on asianet channel. We have no idea bout the event date and venue, we will update about winners and publish images. Asianet will soon announce the telecast date and other details. Best Serial, Best Actor , Best Actress, Best Director, Most Popular Serial , Best Screenplay , Life Time Achievement Award are some of the main categories. Best New Face (Male), Best News Face (Female ), Most Popular Actor, Most Popular Actress in a Humorous Role also in the awards.Best Actor in a Humorous Role, Best Actor in a Negative Role, Best Actress in a Negative Role, Best Actor in a Character Role, Best Actress in a Character Role are other categories. 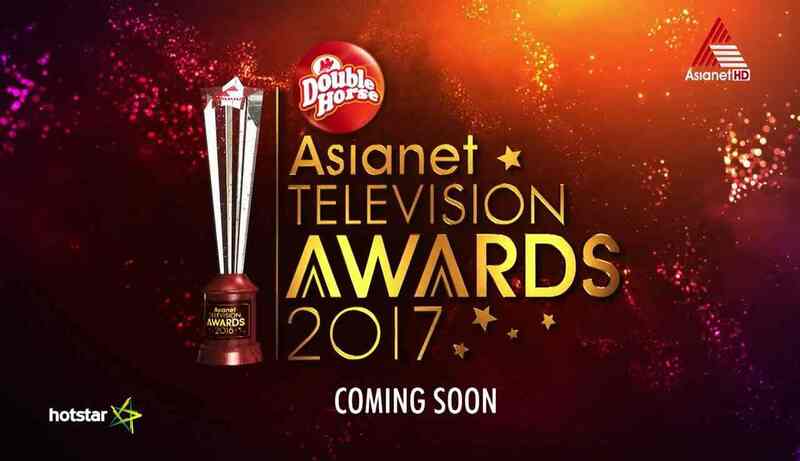 we will update winners list of 2017 Asianet tv awards, once they publish the same officially. we need to wait few more days for the update, hotstar will stream 2017 asianet tv awards after it’s telecast. Karutha muthu bagged majority of awards in 2016 Asianet Television Awards. Kishore satya bagged best actor for his role in karutha muthu serial. Subramanian Gopalakrishnan is the most popular actor for his role on Chandanamazha serial. Popular films stars and other celebrities will attend the award function. We can expect more popular film star in 2017 tv awards by asianet. Stay tuned here for more updates, follow us on facebook and google plus.